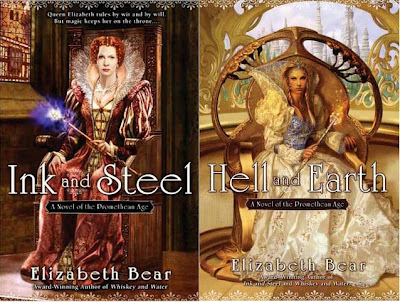 Congratulations to Mihir Wanchoo (Texas), Cath Stevenson (California) and Bryce Bell (Colorado) who were all randomly selected to win a SET of Elizabeth Bear’s Promethean Age series including copies of “Whiskey & Water”, “Blood & Iron”, “Ink & Steel” and “Hell & Earth”, all courtesy of Roc Books!!! Also, congratulations to Belinda Moore (Mississippi), Ingemar Hulthage (California), Shilo Beedy (New York), Bryon McGregor (Montana), Alyce Mulloy (Maryland), Dorothy Lazorchik (Pennsylvania), Tracey Chambers (Illinois), Clifton Wade (North Carolina), Dean Reiser (Florida) and Malinda Morris (Ohio) who were all randomly selected to win a COPY of Terry Pratchett’s The Discworld Graphic Novels, courtesy of HarperCollins!!! 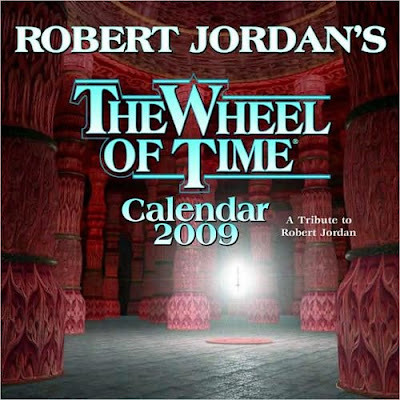 In news, Tor Books is proud to announce that Robert Jordan’s Wheel of Time® 2009 Calendar is now on sale. 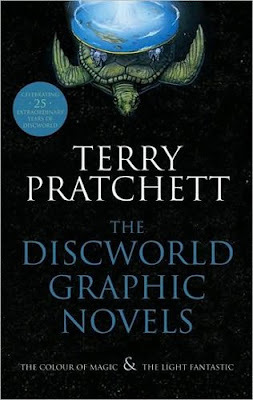 Last spring, Robert Jordan announced a competition on his blog where artists would have the opportunity to submit original artwork based on the Wheel of Time® for inclusion in a 2009 calendar. The July 2008 publication of Robert Jordan’s Wheel of Time® 2009 Calendar offers another new way to experience favorite stories and characters, and will be a must-have for Robert Jordan’s millions of fans.